Tyrol knapweed is a perennial native to western Asia and south-western Europe. 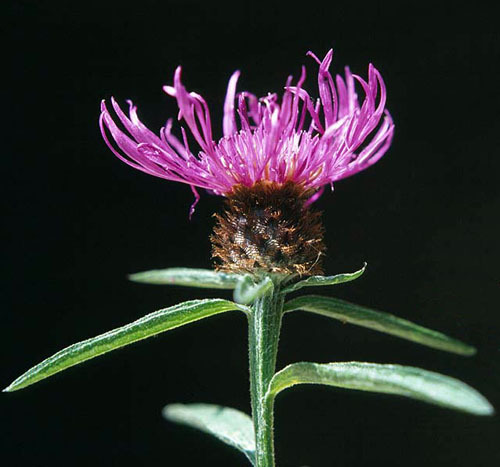 Tyrol knapweed can invade open forests, grasslands, and prairies. It can out-compete native vegetation, reduce biodiversity and forage species. The flowers of Tyrol knapweed are 20-30 mm wide and have peripheral petals that are distinctively larger than its inner petals. The bracts have hair-like margins. The 'hairs' are shorter than the triangular centre of the bract allowing the lower green part of the bracts to be visible. Most leaves are lance-shaped or elliptic. A few leaves on each plant might have one or two lobes. The leaves and the stem have stiff hairs. 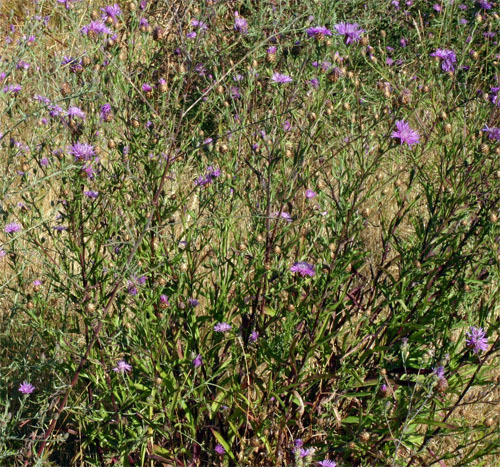 Tyrol knapweed grows up to 150 cm tall.